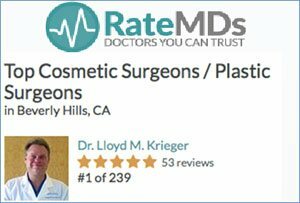 Nationally renowned cosmetic surgeon, Dr. Lloyd Krieger, has created a one-of-a-kind plastic surgery center in the heart of Beverly Hills. The Rodeo Drive Plastic Surgery Center is an elegant 5,000 square foot facility, and the only one located on world-renowned Rodeo Drive. The decor complements its Rodeo Drive neighbors Dior, Chanel, and Louis Vuitton. The Rodeo Drive Plastic Surgery Center not only creates an inviting, soothing and luxurious environment, it also reflects Dr. Krieger’s artistic sensibility and aesthetic approach. Dr. Krieger’s center also helps provide patients with a one-stop-shopping experience for lifestyle makeovers. His vision includes giving patients a top of the line experience he hopes will reflect the new lifestyle they will enter once they leave the center. 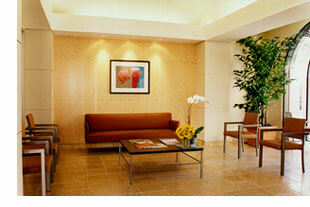 The Rodeo Drive Plastic Surgery Center aims at providing the initial step into a new lifestyle by giving patients what Dr. Krieger calls the “Four Seasons Treatment.” This vision not only includes pampering patients, but also involves offering them a network of top professional services. The center has also created arrangements with clothing boutiques and fashion and beauty experts to help patients establish a new outlook on life. Dr. Krieger’s desire for the best includes a faculty of surgeons from the top medical universities in the country. Dr. Krieger, himself, attended Stanford University for his undergraduate studies, received his medical degree from the University of Chicago and currently works as an Assistant Clinical Professor at the UCLA Division of Plastic Surgery. 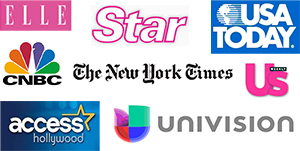 He has been featured in The Wall Street Journal, Fortune and Access Hollywood.